The new 2012 Famous Parts Mercedes-Benz CL63 AMG Black Edition Wide Body Kit, yes that is a mouthful, comes with a total visual enhancement upgrade for the enthusiasts of this popular German coupe. The young German tuning company developed its own body kit to convert the classic coupe into an aggressive looking sports car. 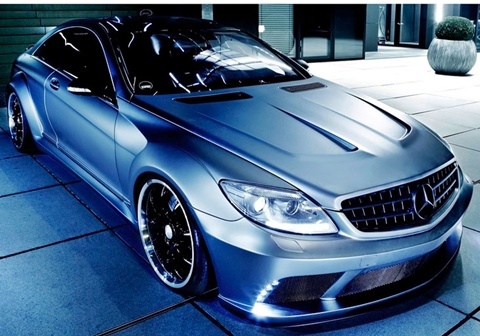 The basis for the re-tune was a 2009 CL63 AMG, it was powered by a 6.2 liter V8 engine that had 518 horsepower, improved this time to produce 610 horsepower. The wide body kit by Famous Parts offer enhancements aimed to improve aerodynamics. Due to the reduced distance between the ground and front bumper, the downforce of this CL63 is significantly increased offering better traction. The wider tires contribute better steering control. 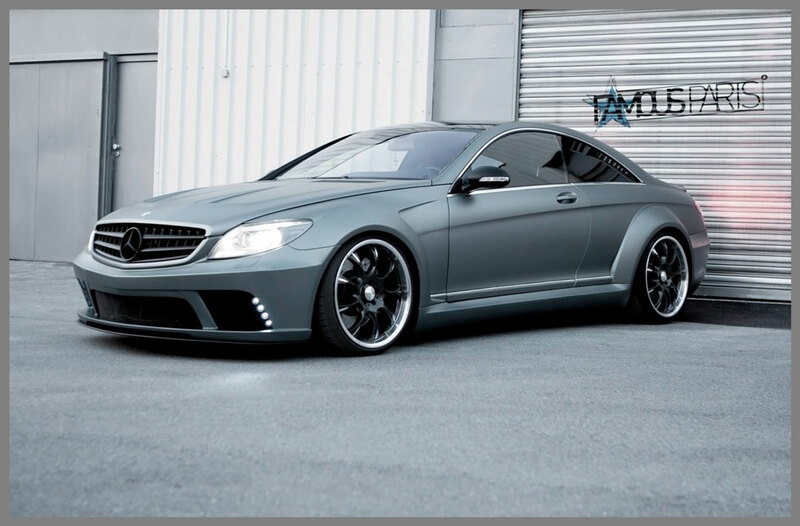 The kit focuses on widening the CL63 by adding larger side skirts and changing the front and rear bumpers. The additional venting grills were added to the front bumper, while the rear was enhanced with the aid of an enlarged rear side wall. The hood has also been replaced to offer more room for tuning the engine. The enhancements are blended seamlessly by the use of frozen grey metallic matt champagne on the foil. The body kit by Famous Parts adds to more than just visual enhancement. Ride and handling are obvious results by the addition of wide tires that increases the downforce. 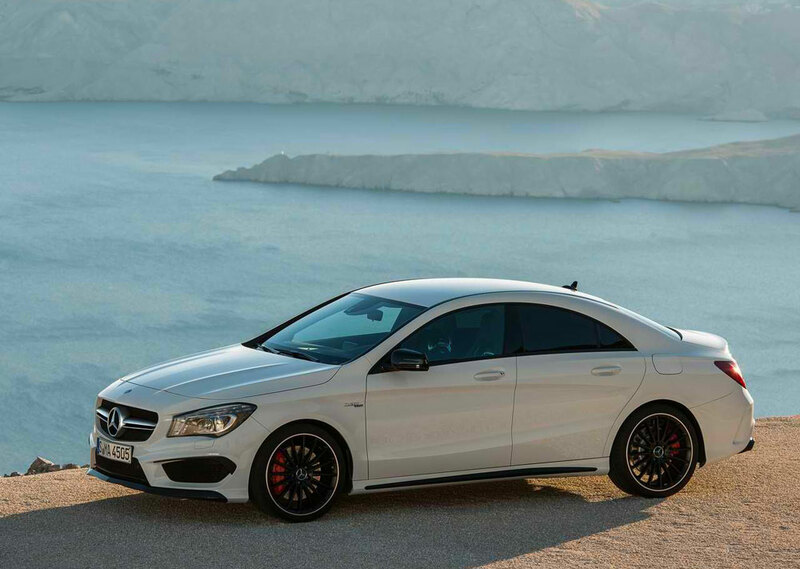 At the same time, the coupe exudes a sporty look because of the widening of aprons in the front and rear. 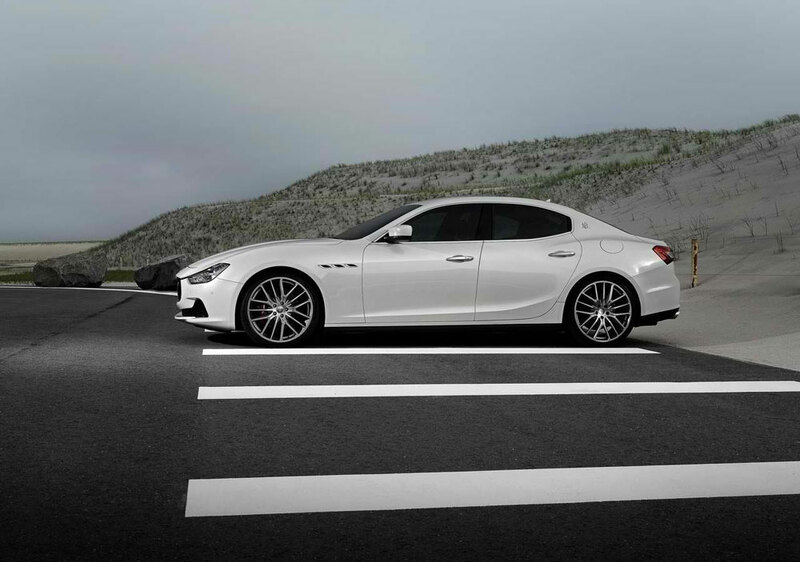 As far as luxury sedans go, the 2014 Maserati Ghibli offers a distinctive appearance, a variety of engine options and solid performance numbers unsurpassed in its market group. To coin a French term in describing another feature of the Italian made Ghibli, the "piece de resistance" is its high fuel efficiency. Normally at this price point automakers last concern is gas mileage. The engine in the Maserati Ghibli is a 3.0 liter, turbocharged, V6, capable of 330 horsepower. This version of the engine can accelerate from 0-62 mph in 5.6 seconds while its mileage rates at an average of 28.8 MPG. 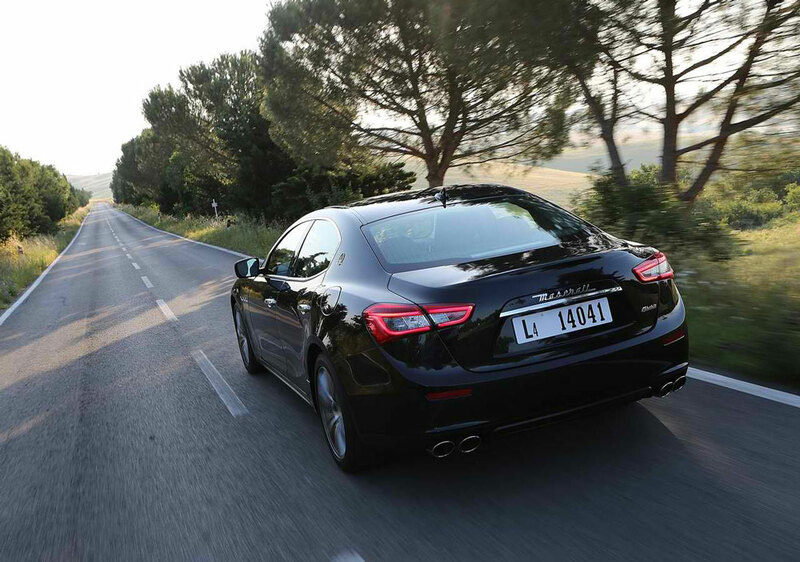 The Ghibli S trim comes with a twin turbo 3.0 liter V6 generating 410 horses. 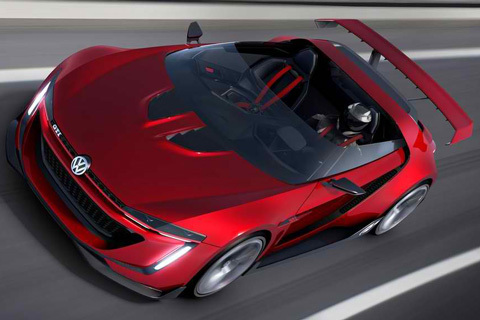 The "S" engine will move from 0-62 mph in .6 of a second less than the base engine and can reach a top speed of 177 mph. For the first time ever, Maserati will also offer a diesel engine. A 3.0 liter V6, which is eco-friendly and rated at 275 horsepower and giving 47 mpg. 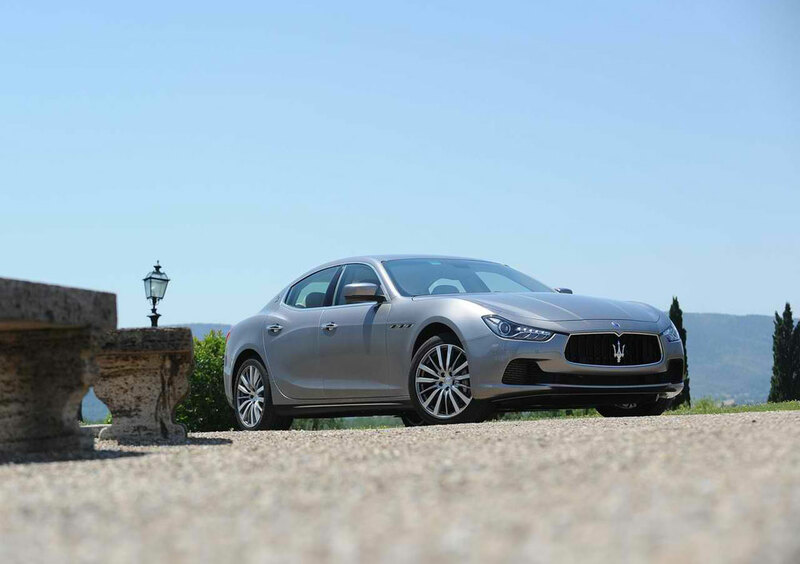 The 2014 Ghibli appears to be a sporty version of the Quattroporte. That would entail a mixture of flowing lines and elegant appointments. The front fascia has definite feline characteristics when looking at the grille and headlamp combination. The grille in particular seems to have been inspired by the current Gran Turismo. It also hints at a retro trip to the 1950's A6 GCS models. Maserati's C-pillar treatment remains and you cannot miss the Saetta Maserati emblem in the center. The side view begins with the traditional vents on the front fender and its contoured lines run all the way around to where it meets the rear taillights. 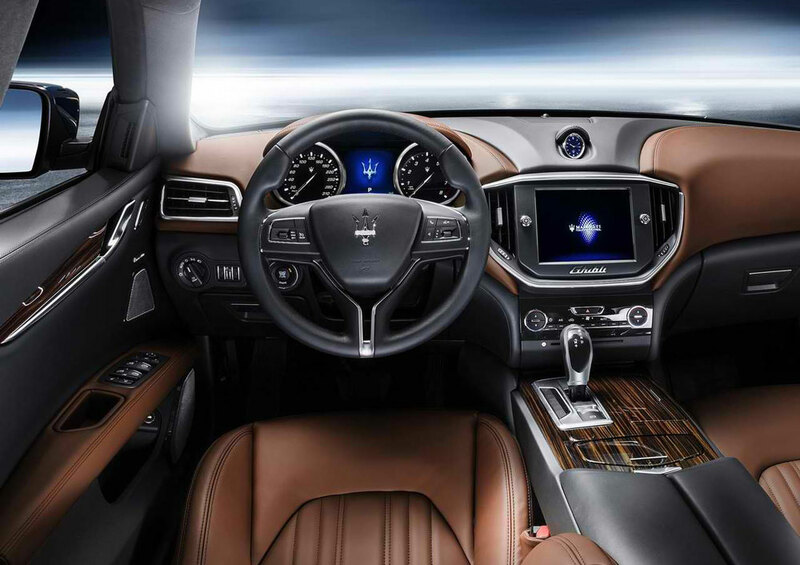 The interior of the Ghibli mirrors its exterior with the same grouping of sporty touches and elegant features. There is a 3 spoke steering wheel, carbon fiber insertions, seats manufactured using top quality leather and a wide array of high tech instrumentation in excess of anything Maserati has ever created. This begins with a large info screen that dominates its center dash. 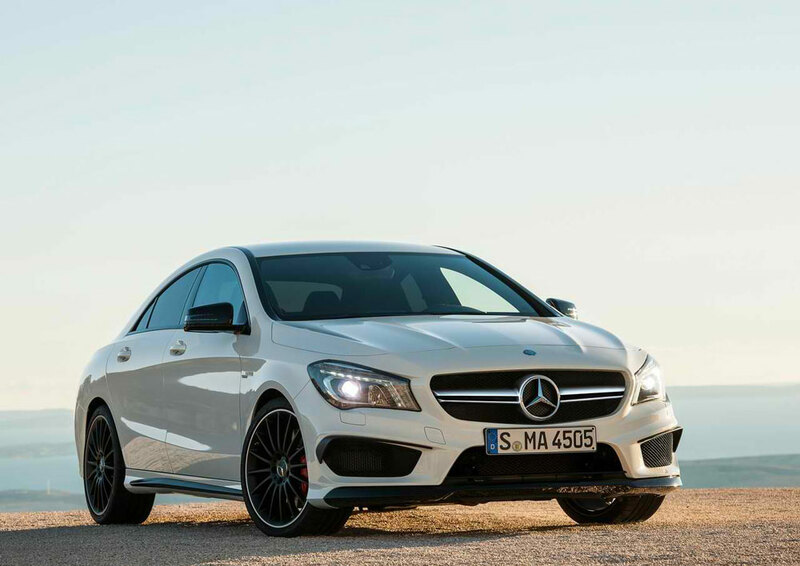 With the arrival of the 2014 Mercedes-Benz CLA45 AMG in November 2013, the United States welcomes the most powerful 4 cylinder engine in the world. 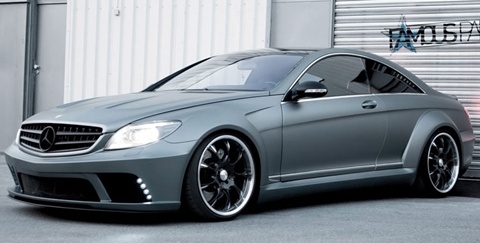 Following the design of the CLS63, this 4 door coupe is a high performance vehicle that is sure to turn heads. The power packed engine is coupled with an all wheel drive powertrain making for an unforgettable driving experience yet unsurpassed in its class. 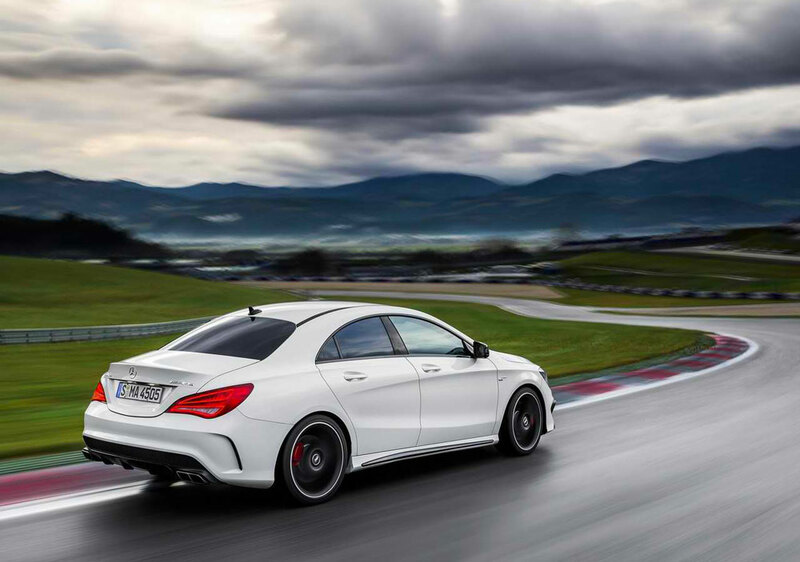 The new Mercedes-Benz CLA45 AMG features the most powerful 4 cylinder engine on the planet. The 2.0 liter turbo V4 is capable of generating 355 horsepower! Add to that the AMG 4MATIC all wheel drive component and you are on your way to an incomparable driving adventure. 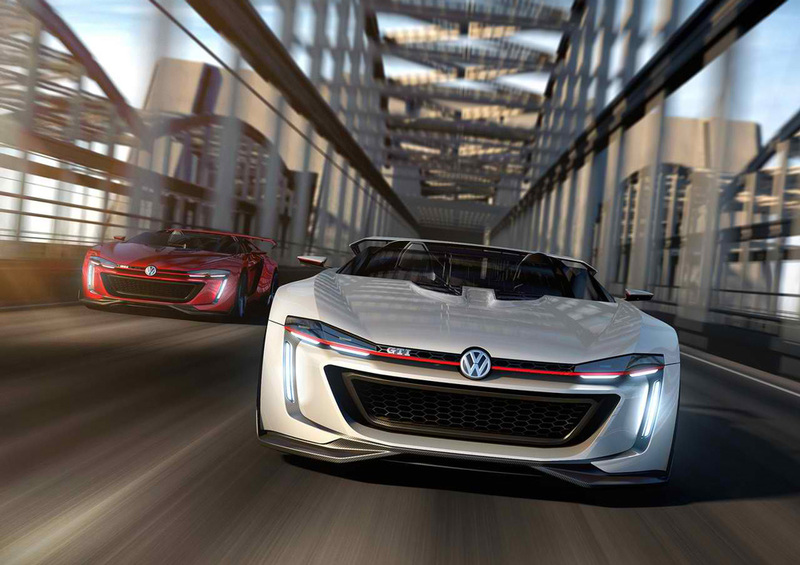 All that power gets you from 0-60 MPH in a nifty 4.5 seconds. The engine "governor" allows you to reach a top speed of 155 MPH. A 7 speed dual clutch transmission is mated with the powerful "little" engine and all wheel drive to keep you in control at all times, not to mention a car that shifts easily, handles exceptionally well and rides smooth. 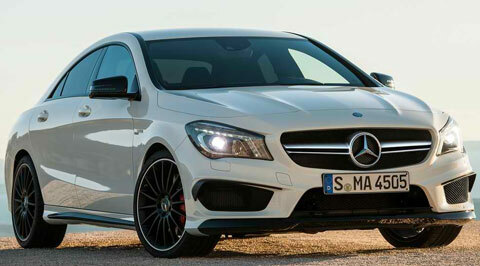 From the front, there is no mistaking the CLA45 is a Mercedes-Benz. Even without the prestigious emblem largely displayed on the center grille, the look is unmistakably elegant. The hood stops just shy of what becomes a sleek "nose" with scoops resting on each side of the vehicle below the headlights. 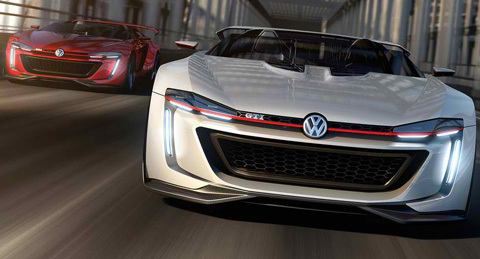 The headlamps themselves are large wing shaped enclosures sweeping to the side of the front fenders. The side continues along the stream line that affect the roofline that gives it a sporty appearance in a luxury laden bodice. You will undoubtedly have time to admire the 18" alloy wheels with run flat tires mounted on the black spoke rims. From behind, the swoop down trunk opening and black mesh, lower vent area between the dual exhausts, complement the cat's eye tail lamps up top. 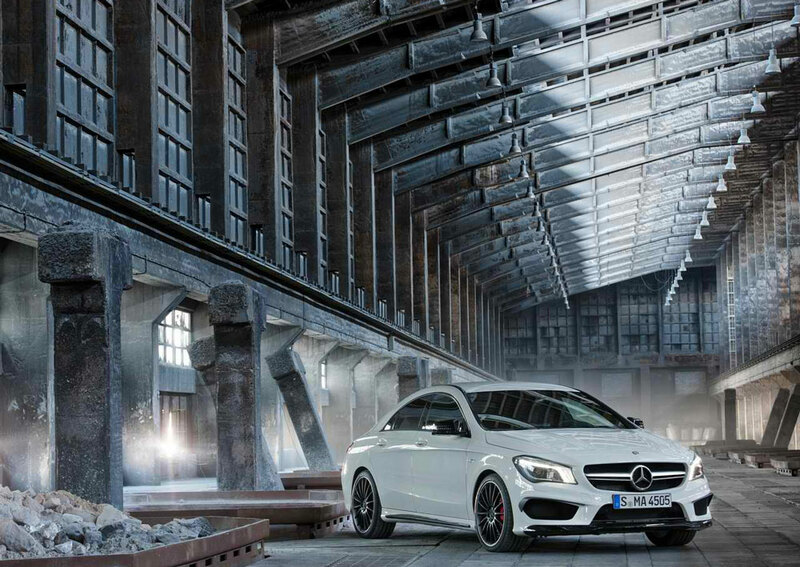 As you enter the 2014 CLA45 AMG you will not be disappointed. It is exactly what you would expect from this premier auto manufacturer. 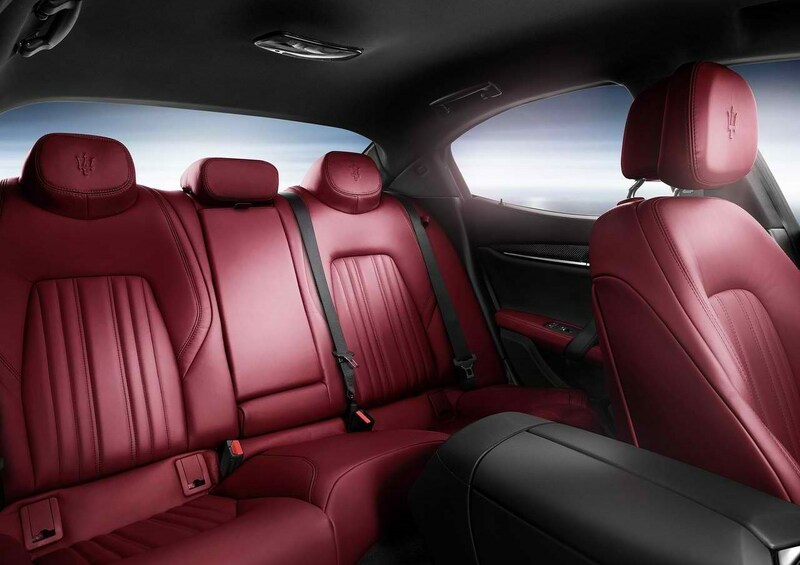 The seats are made from high quality materials including leather and micro fibers accentuated with red stitching and red seat belts. The dash board is trimmed with brushed aluminum and the instrument cluster contains a centrally located full color display including its main menu and RACETIMER. 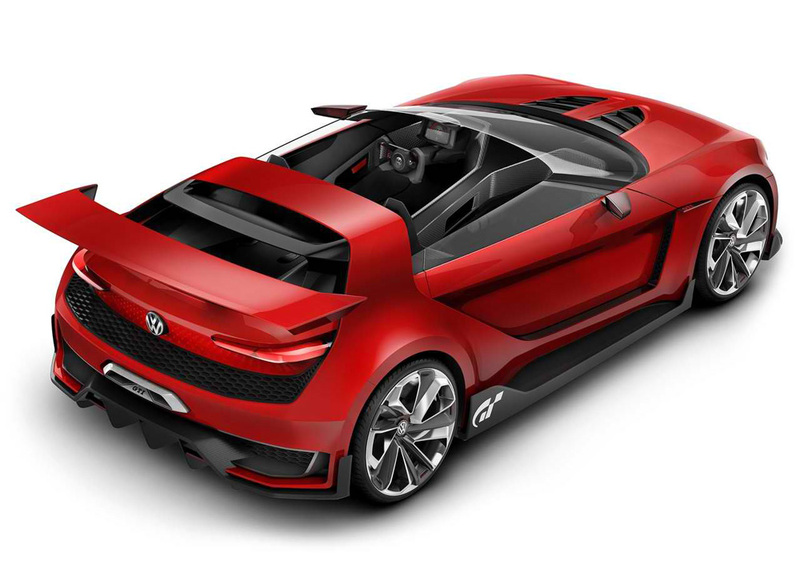 Created purely as a design show case, the 2014 Volkswagen GTI Roadster Concept is a super sports car that is created by the icon of all sporty compacts. 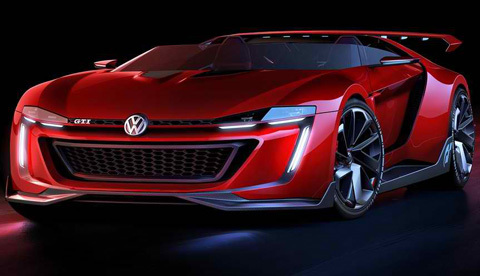 It has the same engine as VW Vision Golf GTI. The carbon fiber and the Alcantara trim design enhance the interior of the car. 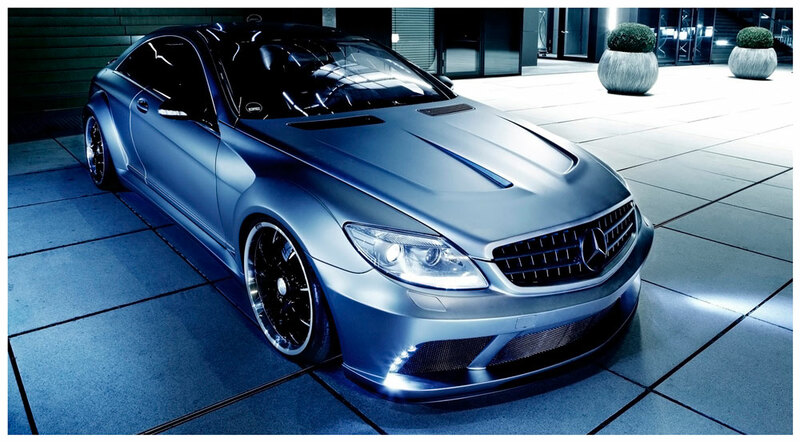 Under the hood is a 3.0 liter V6 Biturbo engine that delivers up to 496 horsepower. 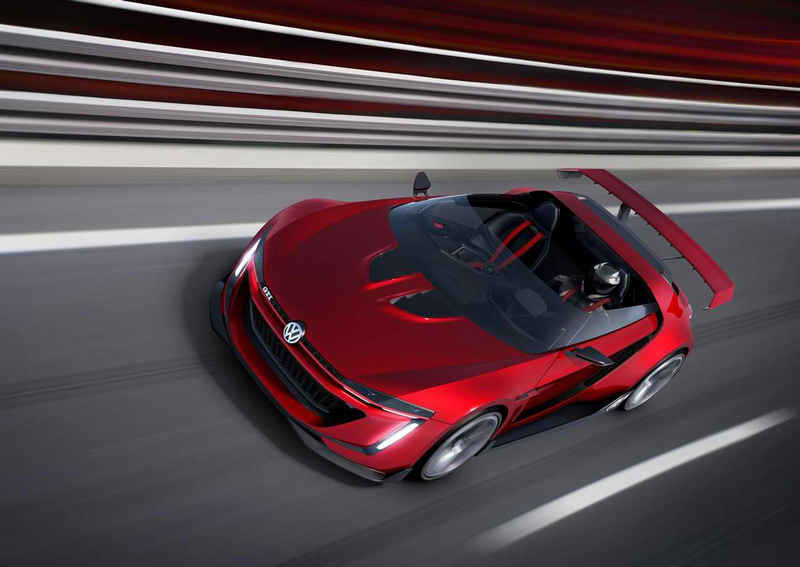 The 2014 GTI Roadster Concept is capable of going 0 â€“ 62mph in 3.6 seconds with a top speed of 192 mph. 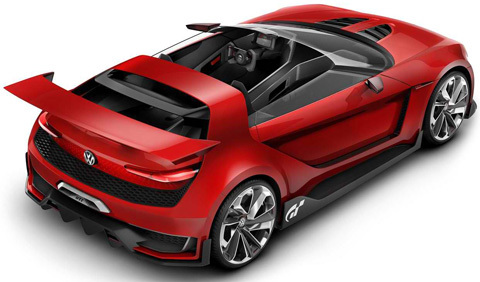 The car is fitted with a 7 speed DSG gearbox and four motion all-wheel drive mechanism. With 413 lbs ft of torque, this car is arguably one of the most powerful machines. The body is aerodynamically optimized by a number of modifications. At the rear is the large wing which creates a strong downforce. This transfers extreme engine power to the road in a controlled way through an all wheel drive system. The design features the honeycomb grille and headlamps with aggressive carbon fiber blades. Another visible feature is the floating C pillars that double up as a roll-over protection bar. Additionally the car features over-sized 20 inch alloy wheels wrapped in a glide of low-profile rubber and carbon sills turning it into a pure fantasy. Inside the 20 inch alloys are ceramic brakes that raise the flying VW. Inside, passengers are cocooned in a twin carbon fiber monocoque. They are able to sit low in hip-hugging racing seats. A fire extinguisher has been fitted to give it a complete race car feel. The carbon fiber and the Alcantara trim design enhance the interior of the car. 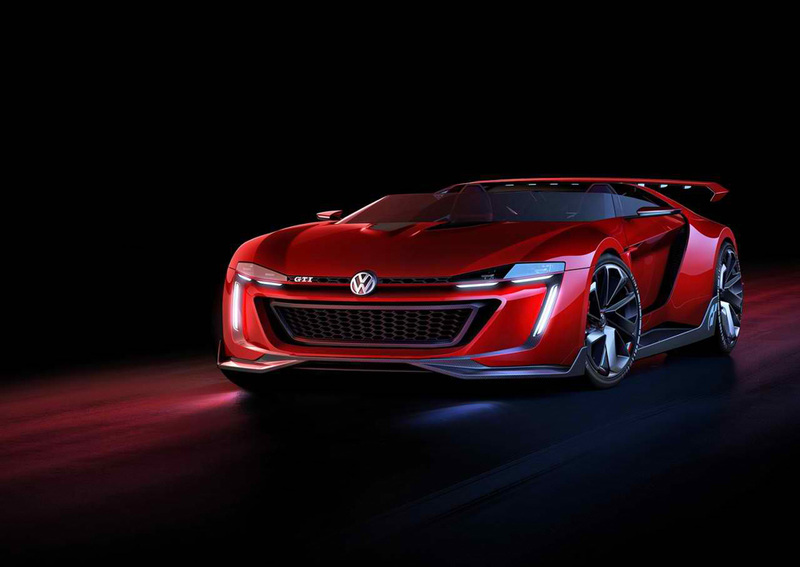 The design elements of the 2014 GTI Roadster Concept are portrayed as vibrant, dynamic and emotional as possible. The seats and the steering wheel are all swathed in faux suede. 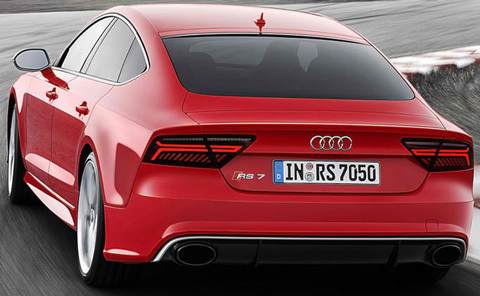 The 2015 Audi RS7 Sportback has many enhanced features, and then some. 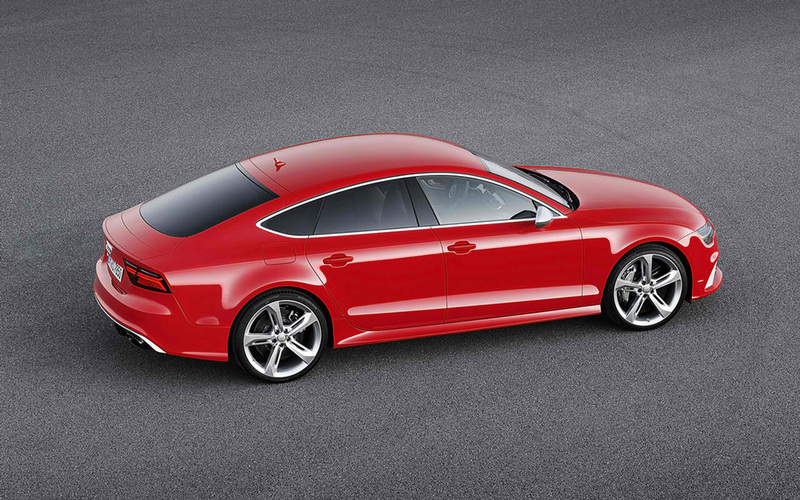 Audi continues to exhibit its prowess when it comes to building attractive & powerful cars. It borrows the Audi S7 and A7, including a redesigned single frame front grille which has a black honey comb pattern, gloss carbon, and black styling packages that give it an extra level of personalization and luxury. The 4.0L V8 engine and the pair of turbo chargers produce 560 hp and 516 lbs ft of torque at between 1750 and 5500 rpm. 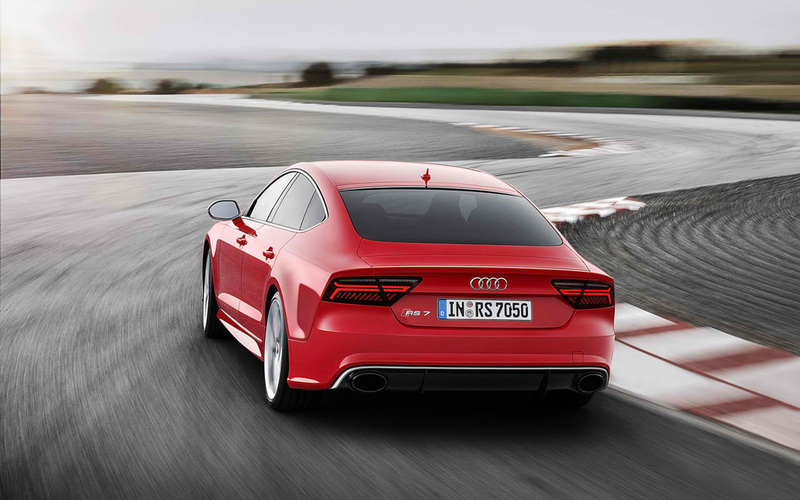 The engine, combined with lightweight aluminum, makes the 2015 RS7 Sportback sprint from 0 to 62 mph (100 km/h) in just 3.9 seconds. The optional dynamics packages allow a top speed of 174 mph (280 km/h) or 190 mph (305 km/h) depending on the choice of package. Power is enhanced through an 8 speed tiptonic transmission to a Quattro permanent all-wheel drive system with an optional sport differential for its rear axle. This offers extra performance and fun. The V8 bi-turbo engine gives you 25 mpg (9.5 liters/100 km) of fuel economy, and a CO2 emission of 221 grams per kilometer thanks to the eighth gear. 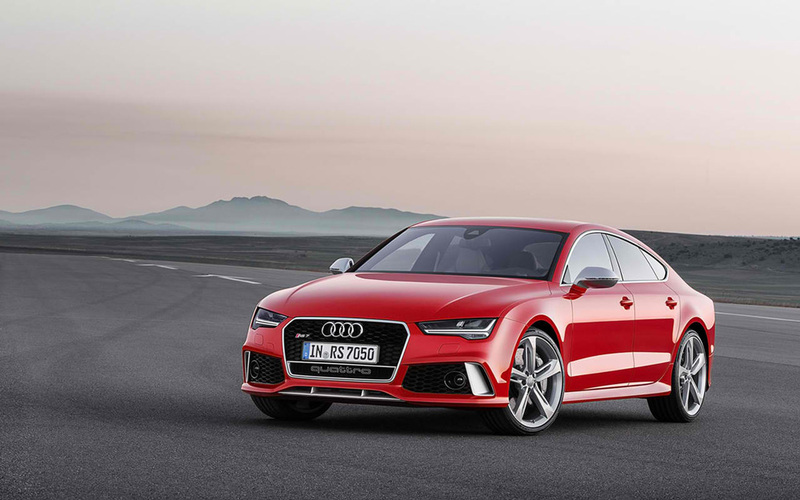 The RS7 Sportback has RS adaptive air suspension which is combined with adaptive damping which lets it sit 0.78 (20mm) lower than the base A7. Besides giving it better handling performance, lowering the height also gives it a menacing stance. You can also opt for the RS sport suspension with DRC (Dynamic Ride Control) for better canyon carving. Carbon ceramic brakes have been tucked behind the lightweight alloy wheels to ensure the RS7 comes down from high speed just as quickly as it accelerates. The exterior is striking with a refined shape that gives it a crispy design that is quite attractive. Although the massive front intakes have been retained, the new singleframe LED headlamp design with a mildly altered bumper and LED running lights gives it a menacing front end. Moreover, the grille received a visual tweak with sharper angles and edges. You can order the trim around the nose in matte aluminum, carbon or gloss black. The 2015 RS7 Sportback is available in four new colors; three metallic shades, Glacier White, Mythos Black and Floret Silver. The 20 inch forged alloy wheels are standard but there is an option for 21 inch cast aluminum wheels which come in three color options. The same honeycomb shape from the attractive grille has been mirrored in the stitching of the bolstered RS sports seats. The Quattro emblem has been slightly updated whereas the air vent controls, shift paddles, and instrument cluster have been slightly updated. Audi also upgraded the MMI to the latest model which is powered by Silicon from Nvidia.